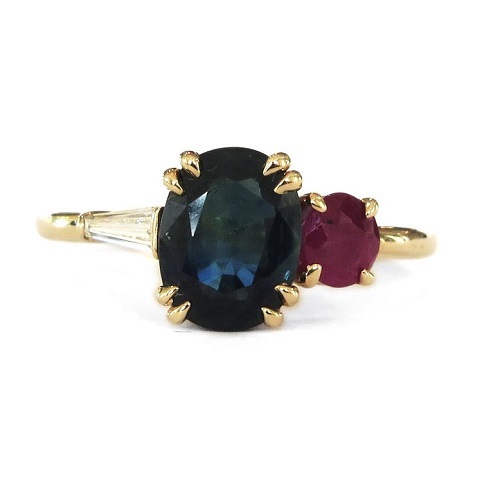 While diamonds remain the preferred choice for engagement rings (and for good reason, too, we might add), another stone that has a good hardness rating, plenty of impact and an incredible range of colours is tourmaline. This stone falls between 7 and 7.5 on the Mohs hardness scale, making it a durable engagement ring that will last forever. While it is technically classified as a semi-precious stone, tourmaline has become sought-after due to its vast colour range, which often includes two or more colours within the same stone. Certain tourmaline stones, such as the watermelon tourmaline, are especially valued for their unusual properties that make no two stones alike. Coloured stones are not everyone's choice and should definitely be considered carefully. 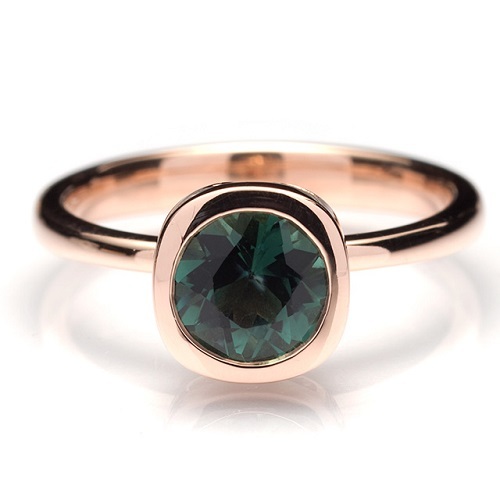 If you love colour and you are seeking something original and a little off the beaten path for your engagement ring, tourmaline is sure to add all the sparkle and colour you are seeking. If you're looking for an eye-catching ring that is sure to be unique and dazzling, this gemstone is well worth considering for your ring. Add a bit of colour to your engagement ring with these beautiful tourmaline rings. 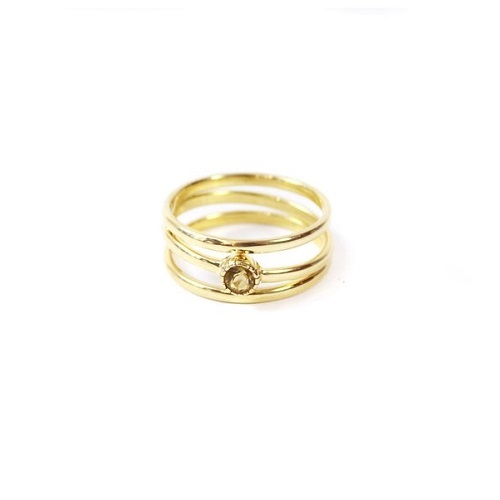 A ring set that combines your engagement and wedding ring (or two rings layered over each other) can create a rather lovely double ring. 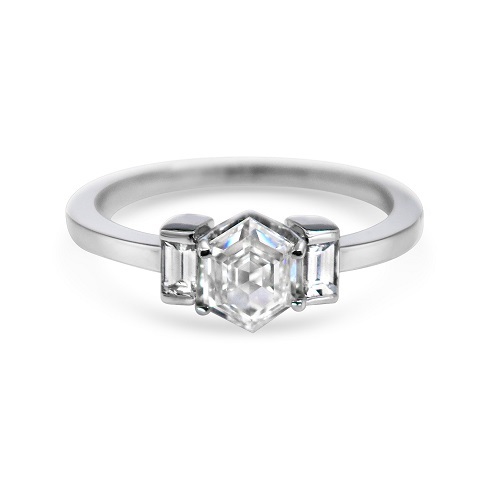 This style uses a half circle, tiny pave stones and an emerald cut tourmaline, resulting in a layered effect that has a touch of Art Deco glamour. A set like this would work with any colour tourmaline and any metal. 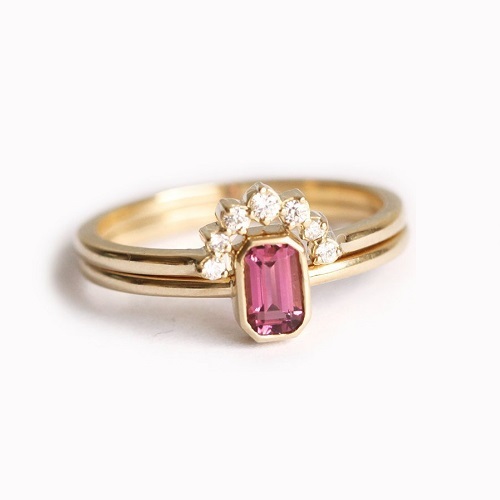 The warm tones of rose gold work well with the pink tourmaline shown here. This classic style remains a popular choice for many brides. The bright colour of the aqua tourmaline adds even more impact to the ring, working well with a cool-toned metal such as platinum. 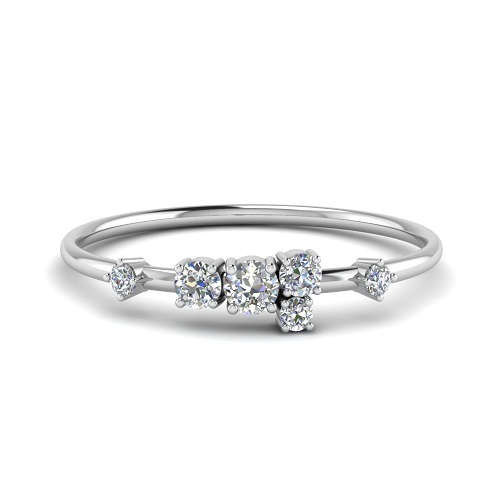 Tiny pave diamonds provide extra sparkle, further adding to the beauty of this ring. 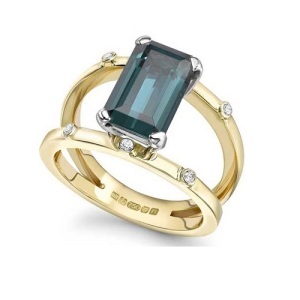 White gold would also work well with this colour of tourmaline. 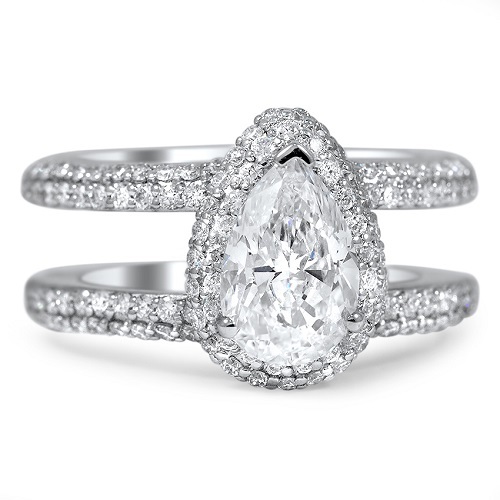 Another timeless engagement ring style, three stone rings are rich in symbolism. The stones are said to represent each stage of your life together – your past, present and future. There are many ways to make this ring shine. You could make all three stones the same, choose different tourmaline stones for each setting or add in a diamond to mix things up a bit. Rose gold acts as the perfect backdrop for a dark green tourmaline that is almost black. The depth of colour in darker toned tourmaline is truly amazing. Although these stones are not known for their clarity, they have a deep, rich level of colour that does not dim or lose any impact. Yellow gold would also work well with this colour. This stone gets its name from its watermelon-like colour range. 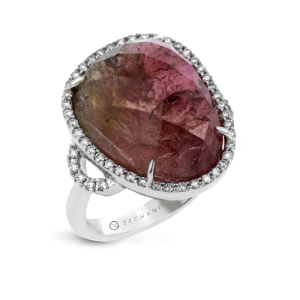 The inner part of the stone is a deep pink, spreading out to a delicate pale colour and deepening into a dark shade of green. Dramatic in any type of metal, the addition of tiny halo stones add even more beauty to this unusual ring. 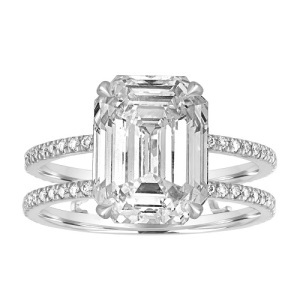 Split band rings are another classic style that will never date. In this ring, a deep green baguette tourmaline is set between two yellow gold bands, with tiny pave diamonds added to each band. 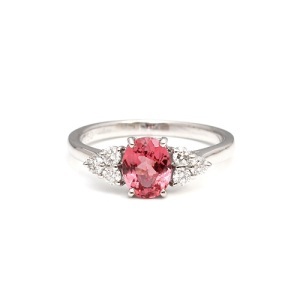 This style would work with any colour tourmaline and any metal, with or without the pave stones. Triple band rings go one step further, adding an additional band for effect. There are many ways to customise this style, from mixing and matching metals to changing the location of the stone, adding in additional stones, changing the size of the stone or changing the position of the stone. 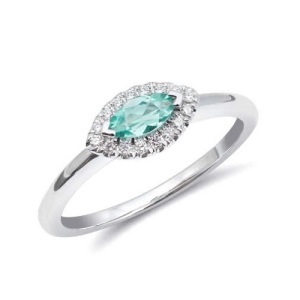 In vibrant aqua, this marquise cut tourmaline is enhanced by tiny pave diamonds and set on a simple platinum band. 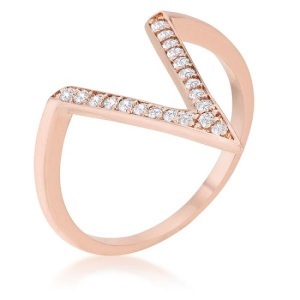 This style of ring is classic and flattering, and also versatile. Change the colour of the stone, add an extra halo or remove the halo and keep the setting simple or add side stones for emphasis. 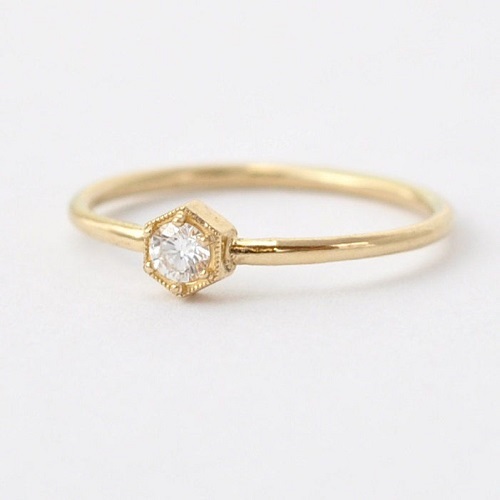 Considering a bold ring? 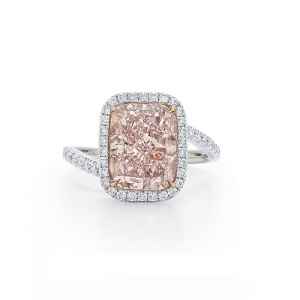 Read our tips on choosing a colourful engagement ring to learn more. 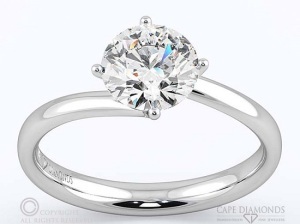 If you would like help in crafting your dream engagement ring in Cape Town, get in touch with Cape Diamonds today. Whether you are dreaming of a bright, bold engagement ring with a coloured diamond or you are aiming to surprise your love with a colourful precious stone that you are sure she will love, colourful rings are not always as simple as they seem initially. The trouble with this type of ring lies in the very thing that makes it so special – its bold colour. While a vivid red and black ring works well now, while you love the colour combination, it may not appeal to you as much in five years, let alone a decade or two down the line. That's not to say that there is no place for colour in engagement rings, however. It simply means being aware of what this type of ring entails so that you can make an informed decision. If you are going to add colour, don't choose a colour that you have only started liking recently. Don't look at trends, either. Instead, think about the colours that you have always loved. Think about the colours that you wear frequently (and have worn over a long time frame). Think about colours that go with other colours as well as neutrals, without any risk of major clashes. Even think about your skin tone, eye colour and hair colour and how the colour looks against your skin. If the colour does not work well, you may start to find it less charming as time passes. 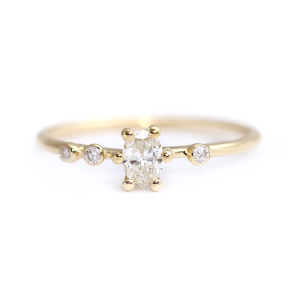 If you have a simple solitaire style, you could replace the stone or revamp the ring in a few years if you find yourself feeling less enamoured of the colour. 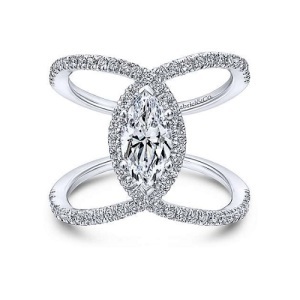 If the ring design is more complex, it may not be as simple to make adjustments. 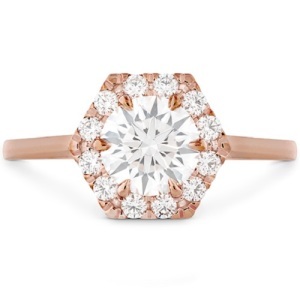 Complex ring designs may end up being ruined if any stones are moved or replaced, while simple cuts and designs should allow small changes within reason. That's not to say that you should aim to make changes, of course. If it comes to that, you should be able to have the option, however. 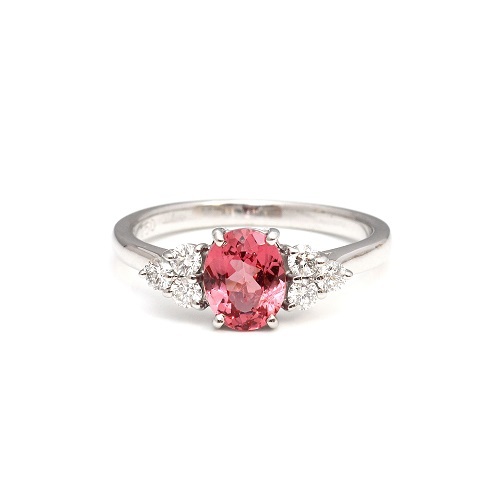 Another thing to consider is whether you will go for a coloured diamond or a colourful precious stone. If you choose the former, you will be able to ensure a high rating on the Moh's hardness scale – in fact, the very highest rating possible. If you opt for another colourful stone, you will need to do some homework to ensure that the stone you choose has a decent hardness ratio. That will help to prevent scratches, chips and other damage to the stone over time. 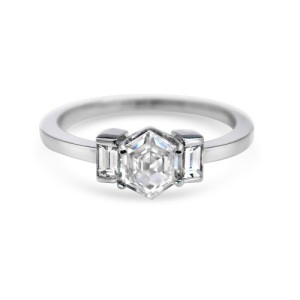 If you are looking for beautifully made custom diamond rings in any colour, we are here to help. Contact us with any engagement ring queries and we will do our best to assist however we can. 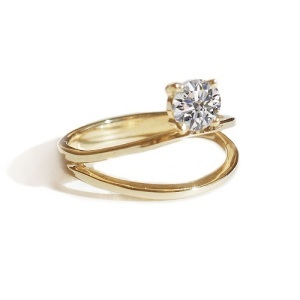 Upgrading your engagement ring may sound crazy when you have only just gotten engaged. As time goes by, however, you may reach a point where you would like to add some detail, change a stone, change the band or even bring the ring into a new era. To get the most from your engagement ring upgrade, it is best to speak to a jeweller who is able to help you make the upgrades in a way that works with the current ring design. Not all rings can easily be upgraded but most can to some extent. 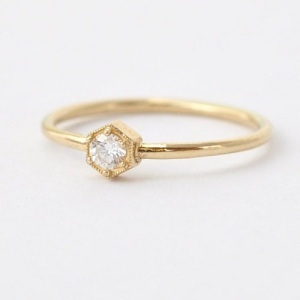 This ring is too precious to take chances on major changes so it is best to choose just one change to make instead. If your tastes have evolved from yellow gold to platinum over the years or you have always longed to have a rose gold ring, you could look at adding your stone to a new band. This can instantly change the entire look of the ring for a change that elevates the ring significantly. Other than the cosmetics benefits, another reason to consider making a change is the longevity factor. Over time, as gold is plated, the metal can begin to lose its shine. Platinum does not have this effect and it is also hypoallergenic, as an added bonus. You may want to add a bit more detail to your ring without making any major changes. You could look at adding pave stones along the band, adding a halo around a solitaire stone, adding in a tiny diamond alongside your centre stone or even changing the colour of any pave stones you may already have on your ring. Even a tiny detail can make a big difference to the ring's look and feel. Many people upgrade their rings as a way of celebrating important milestones in a marriage. You could consider changing ring styles for your tenth anniversary, taking a solitaire ring to a three stone ring, for example. You could think about changing a solitaire to a halo ring, too, or switching the band to a split band. This is a symbolic way of bringing in a new era in your relationship. Another way to add subtle detail and celebrate a milestone is to add a secret stone somewhere that only you and your love can see the stone. 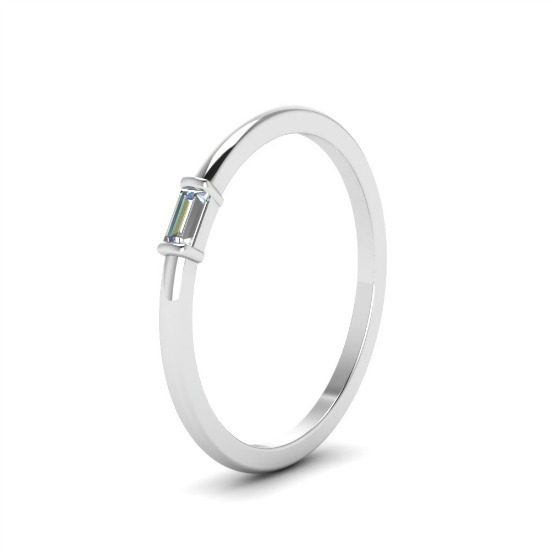 Hidden stones can be added underneath the setting, as profile detail, on the underside of the band, set deep into the metal or anywhere else that your jeweller advised. You can add a coloured diamond or precious stone that represents the number of years you have been married to add even more symbolism. Finally, another way to upgrade your ring is to add an engraving. 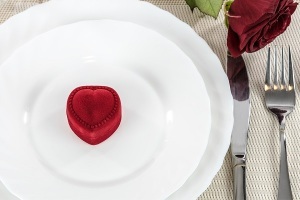 This is very simple to do and can be a deeply romantic way to celebrate a special milestone in your relationship. Add a personalised note, a poem, lyrics from your favourite song (or your wedding dance) or get inspiration from our list of romantic engraving ideas. 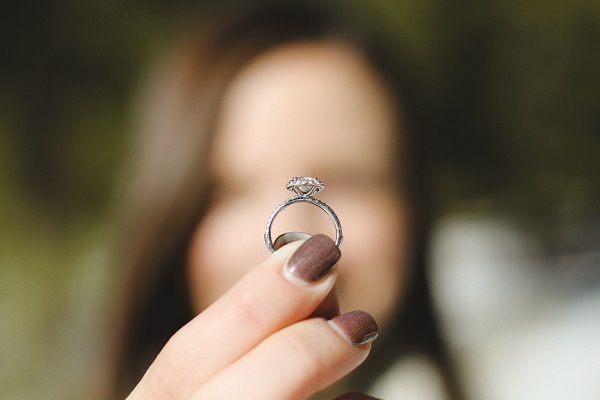 However you choose to upgrade your engagement ring, always choose a jeweller that is able to make the best decision for your budget and preferences without putting your original ring at risk of damage. If you are planning a surprise proposal, it will help hugely having an engagement ring that fits your love's hand perfectly. One of the biggest mistakes made by hopeful grooms is not being fully sure of the ring size and using guesswork instead. This can end up costing more than you realise in the long run – especially if you have not taken any steps to ensure that the ring is one that will be adored at first site. If the ring is not quite her style and not even the right size, you will have to get it resized and possibly even redesigned. 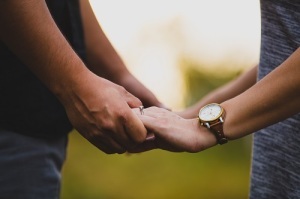 Make sure that your love is sufficiently wowed from the moment that engagement ring is slipped onto her finger with these surprisingly practical tips. How exactly do you go about figuring out her ring size, then? For starters, you could try one of these simple tips to make sure that you have a good idea of her engagement ring size. Ask her friends or family. One of the simplest ways to determine her ring size is to get a bestie or sister involved in the process. Most women have a good idea of ring sizes. A co-conspirator will be able to sneak into her jewellery box and borrow or size a ring, then tell you the size. She may also be able to give you some tips on the type of ring your love would love the most, which will help make your ring quest even easier. You could also try a bit of subterfuge and pretend to be trying to find out how ring sizes work for a ring you want to resize for your mom or sister. The upside of this approach is that she will give you her ring size if she knows it or allow you to use a string or cable tie to measure her finger in relation. The downside is that she may well see through the smoothness and know exactly what you are plotting. Wait until she is asleep. For those who don't mind a bit of danger, another tactic is to wait until she falls asleep and then very, very carefully tie a cable tie or string around her finger without her waking. This move can be daunting and should only be attempted on heavy sleepers. Make sure that you choose the right finger, too. Getting the wrong hand may make things a bit tricky as most people have a hand that is slightly bigger than the other. If you are not able to borrow a ring or get outside help, you could also take one of her existing rings and trace it onto a piece of paper when your love is not in the room. Make sure that you trace carefully, enough times to provide a clear outline. You can then take this bit of paper to your jeweller. They will be able to work out the size from there. This should be a last resort however as tracing is not always as accurate as having a ring that is worn daily or having an exact size. The good news is that you should only need to try one of these moves to get a reasonable idea of her ring size. We suggest starting from the top and taking it from there depending on your success. Once you have an idea of her ring size, you can get onto the fun part... choosing the perfect engagement ring for your love. If perfectly balanced engagement rings are not your cup of tea, you may find that asymmetrical rings offer something a bit more your style. As the name implies, these rings do not follow standard design principles. Instead, they feature off-centre stones, interesting arrangements, off-beat designs, and, very often, unusual details that further add to their charm. 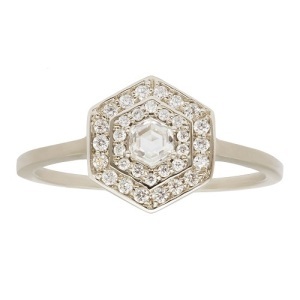 These rings are popular with future brides who prefer a modern bohemian style over a classic style. 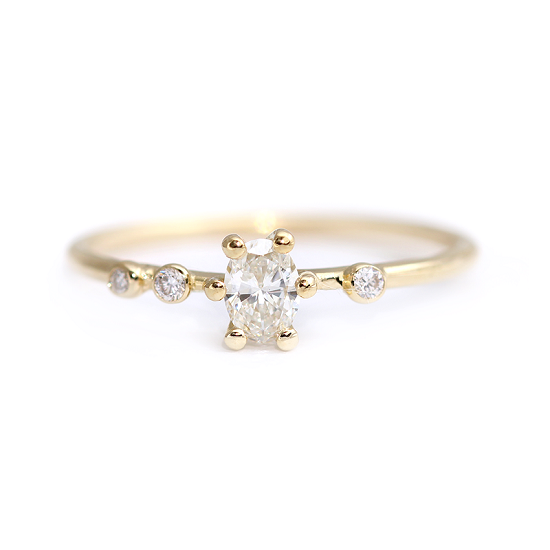 Keep reading to find out how asymmetrical engagement rings infuse interesting visual detail into their design. Ideal for those who prefer to colour outside of the lines, asymmetrical engagement rings are proof that rings can be just as beautiful without being symmetrical and balanced. Here are some lovely asymmetrical rings to inspire your ring choice. The style is a great choice for any bride-to-be who wants to add just a little asymmetrical charm without going too overboard. The twist style engagement ring is a popular choice in many ring designs. The three stone design is also popular, symbolising your past, present and future. 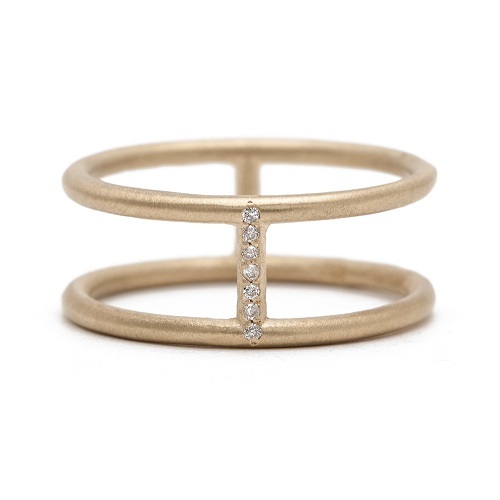 Adding these two styles together creates a visually interesting ring that is still simple enough to be classic and understated. 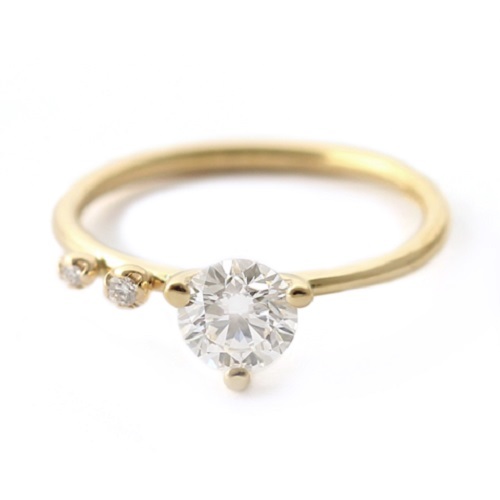 If you have a love for delicate rings, you are sure to love the subtly of this design. A round centre diamond is set on a fine gold band, with scattered side stones added to one side that add detail. 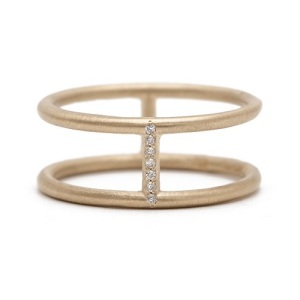 While this ring looks gorgeous in yellow gold, it would be equally beautiful in platinum, white gold or rose gold. You could further mix things up by choosing coloured diamonds or your choice of stones for the centre and side stones or even add a single coloured diamond to the side for emphasis. 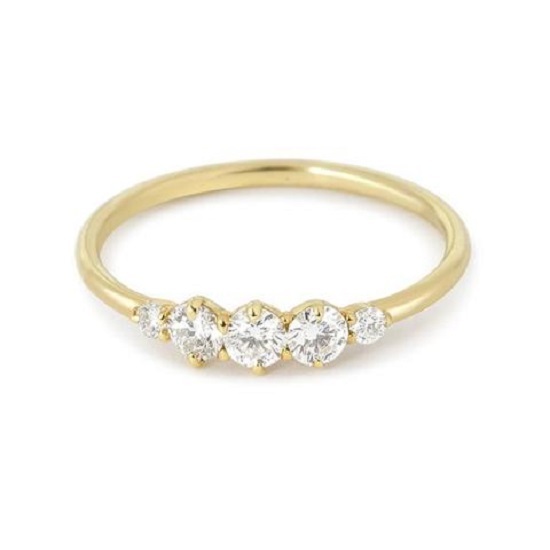 Another pretty ring in the minimal ring style, this ring uses tiny diamonds that are clustered in an interesting off-centre arrangement. This ring also has a delicate band and very small stones rather than one large stone. Whether kept in cool tones of platinum and white diamond or done in warmer tones such as morganite and rose gold or coloured diamonds and yellow gold, this ring is elegant and feminine. This one is sure to appeal to those who adore all things vintage, old-fashioned, and dramatic. A spectacular dark sapphire takes centre stage, with an equally impressive ruby sitting to its side. With a bold setting and a simple gold band, the combination of colours is what makes this engagement ring so eye-catching. This style would work with just about any type of stone and metal, however. 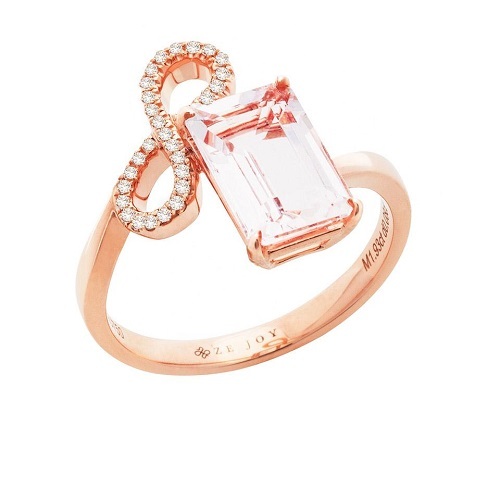 Warm toned coloured diamonds, emeralds, white diamonds, morganite, moonstone or even tanzanite would be equally magical. Perfect for feminine brides who favour all things ladylike, this delightful ring uses an ultra-romantic infinity sign and a simple baguette to create a sweet ring that is interesting and oh-so-charming. The rose gold metal further adds to the ring's femininity but yellow and white gold would work, too. Tiny pave stones add extra sparkle while a morganite stone as the baguette could be replaced by a white diamond or a coloured diamond. 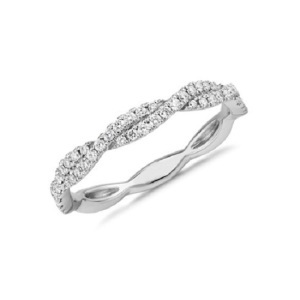 Brides who prefer their rings modern and understated will adore this modern twist ring that includes just two small stones on each end of the twisted band. 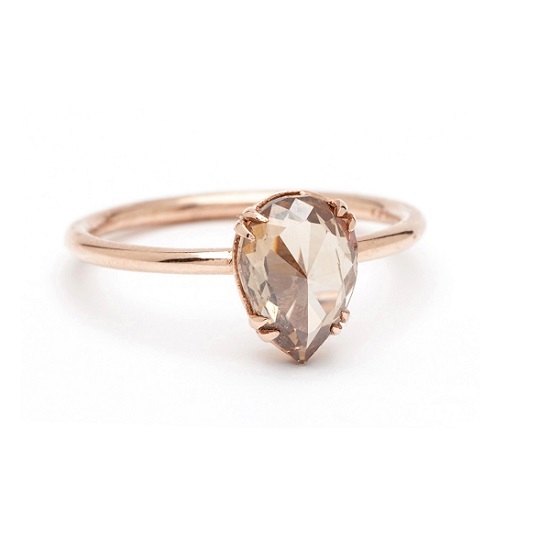 A desaturated rose gold works especially well for this ring, adding a hint of colour without going overboard. White gold, yellow gold and platinum would also work well. 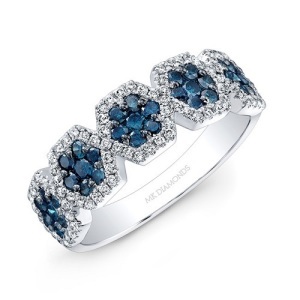 Use white diamonds or add a pop of colour to one or both of the stones to mix things up a bit. Exceptionally girly and unapologetically bold, this halo ring has a band that is set just a little off-centre. 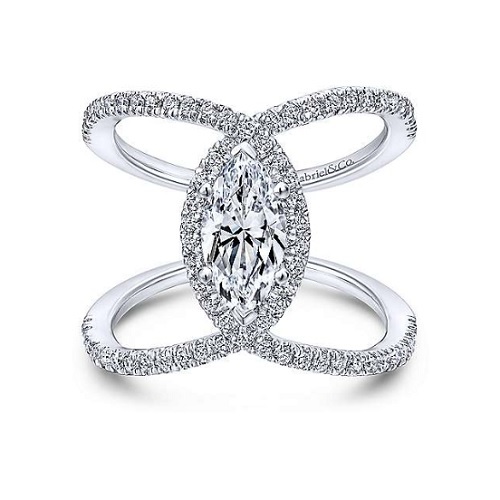 This adds interest while keeping the overall ring design classic and timeless. 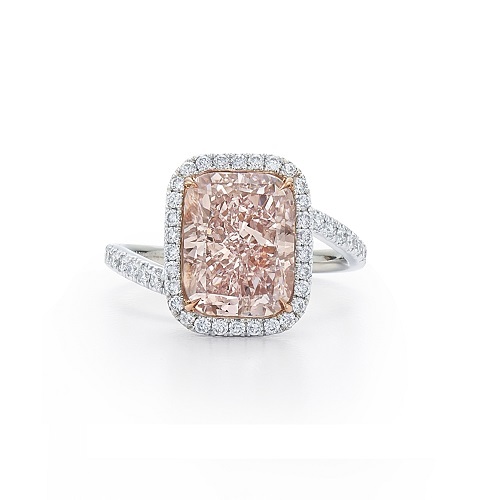 A coloured pink diamond takes centre stage with tiny white diamonds adding sparkle on the halo and the pave encrusted band. 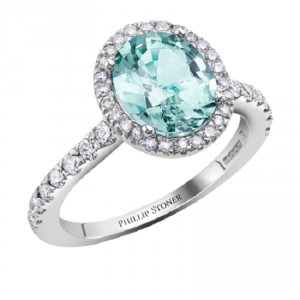 This style would work equally well with a white centre diamond or even a precious stone such as emerald or sapphire. Another dramatic ring, this black diamond ring is set on a dark rose gold band, with a few tiny white diamonds flanking the centre stone. 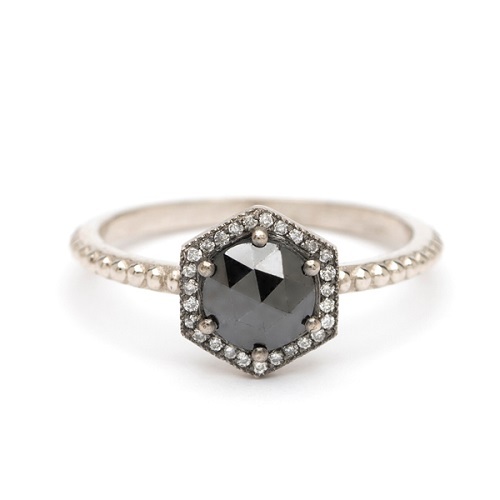 The cut of the centre stone is kept simple, which helps the black diamond stand out to perfection. 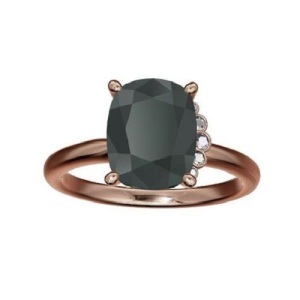 Although it is the colour of the stone that makes this ring, you could try a stone of just about any colour for a similarly eye-catching effect. 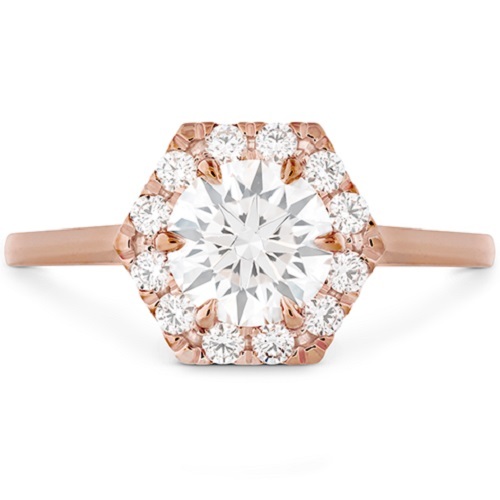 Looking for more inspiration for your engagement ring? Browse the collection from Cape Diamonds or get in touch with our team today to learn more about diamond engagement rings in Cape Town and beyond. Why is Hardness Important for Engagement Rings? When shopping for engagement rings, hardness is a topic that will invariably come up at some point or another. Your jeweller will likely explain how hardness works. You may have some idea what the Mohs scale is all about, but it can be confusing to understand exactly why hardness is such an important factor when making your final decision. To help you get a better idea of how hardness works, we have put together some tips on why hardness should always be considered in your engagement ring selection. First, what is the Mohs scale? This scale uses a hardness rating of gemstones to give them a value between 1 and 10. The harder the stone, the higher the rating. This scale is universally used to measure a stones longevity and ability to withstand wear and tear. The harder the stone, the longer it will last. You've likely heard that saying that diamonds are forever. This is not just a marketing ploy. Diamonds are at the very top of the Mohs hardness scale, with a hardness rating of 10. Diamonds can cut through glass. The very process that turns lumps of coal into diamond makes them the strongest stone available. Due to their hardness, diamonds will not be at risk of wear and tear over the years. You can expect your diamond to look just as good in five, 10 or 20 years as it does when you first get your ring. Harder stones are an excellent investment. Due to the hardness of diamonds, they are considered a great investment, as they are sure to last year after year. Similarly, hard stones such as rubies and emeralds have an equally high value. A stone that falls lower on the Mohs scale will not have the same value. One of the softest stones on earth is pearl, for example. Unless it is kept safely in a box somewhere that will not risk any damage, a pearl ring will not maintain its value. That means that your ring may not be worth as much over time. 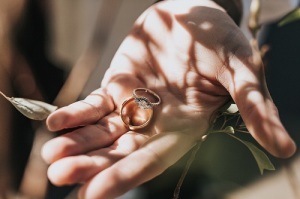 While this is never the only factor to consider when choosing a ring, it is worth noting that your investment may not be as stable with a softer stone. Harder stones will not require maintenance or fixing. If you wear your ring daily, there is always a chance of potential damage or wear and tear. Even rings that contain diamonds may eventually need a prong replaced or it may need to be reset at some point into the future. Softer stones are far more at risk of damage, however. Any stone that falls below 7 on the Mohs scale is at risk of scratches, breaks, and a tarnished surface. This can be costly in the long run. It can also lead to you not wanting to wear your run all the time, which defeats the purpose of having a ring. Harder stones look good, now and later. Over time, tiny scratches and wear will start to add up. The result is a duller stone that loses its ability to sparkle. Certain diamond cuts will show up wear more than others. A large, flat cut such as a baguette or emerald may start to lose clarity, while a round cut may not have the same shine that it did originally. If your ring is worn with other jewellery, the risk of chips and scratches is increased. You will need to have your ring cleaned more frequently and, even then, your ring may not continue to look as magical as it did when you first put it onto your finger. Here at Cape Diamonds, we offer a selection of beautiful cut, high quality diamonds that give you all the peace of mind you could ever need. 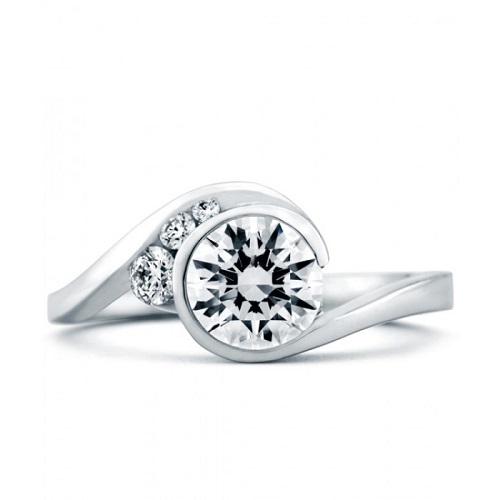 View our full range of engagement rings to find your dream ring today. Choosing engagement rings can be challenging. Over and beyond looking out for the things that look good, you also need to think about whether or not the ring can be worn day in and day out without causing any issues, breaking or standing out for all the wrong reasons. In this short guide, we take a look at some of the things that you absolutely want to avoid when considering engagement rings. 1/ Stones that are prone to chips and scratches. It is always a good idea to familiarise yourself with the Mohs hardness scale before choosing a ring for yourself or for your beloved. Although some stones may look amazing, they may not be practical for a ring that is meant to be worn on a daily basis. The Mohs scale rates stones with a value from 1 to 10. The hardest stones of all are, not surprisingly, diamonds, which have a rating of 10. The softest stone is talc, which is not typically used in jewellery. Pearls have a rating of just 2.5, while opal lies between 5.5 and 6.5. Quartz stones have a rating of 7, morganite lies between 7.8 and 8, topaz has a rating of 8, and rubies and sapphires both have a rating of 9 on the Mohs scale. Every subsequent stone is then judged on whether or not it can scratch or chip the stone just underneath it on the scale. To withstand everyday wear and tear, your chosen stone should be at least a 7 on the scale. This will prevent chipping, scratches and other damage. 2/ Settings that easily catch on fabric. In addition to the stone you choose, it is also important to think carefully about the setting. A good setting is simple, with no excessive detail that could easily catch on clothing. 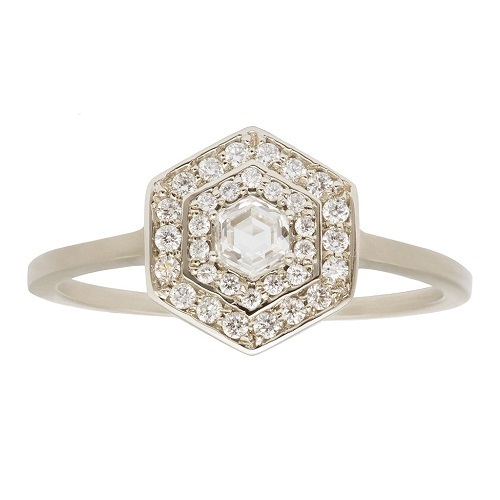 As pretty as an ornate ring may seem in the box or on a finger, remember that this ring will be worn every day, all day. If the wearer is not able to go about everyday activities without the ring snagging, breaking or getting in the way, it is not a good choice. Things to look out for include side profile detail that may have any obtrusions, settings that have any oversized prongs that stand out, raw stones that may easily snag and any other element that could cause injury or hassle in any way at all. Ideally, the ring should fit on the finger without causing dents or without pressing into adjacent fingers. 3/ Impractical designs that are not easy to wear. 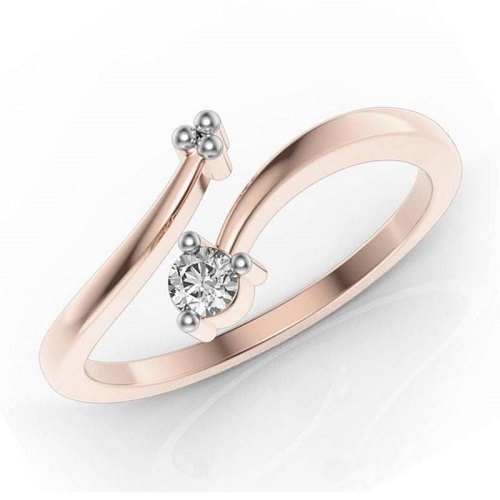 Finally, make sure that the overall ring design is practical and easy to wear. This is a piece of jewellery that should be made to wear in any situation. Very elaborate, eye-catching designs might look good, but they may end up clashing with other jewellery and standing out for all the wrong reasons. In recent years, there has been a slight trend towards huge, over the top designs that almost look fake in their elaborateness. These rings may seem fun now, but a few years down the line, they will quickly lose their charm. These rings are also more obvious to potential jewel thieves, making you an easier target. Many also have side profile details and settings that stick out in all the wrong ways, further adding to their lack of practicality. We hope that these tips make it a bit easier to find your dream ring. 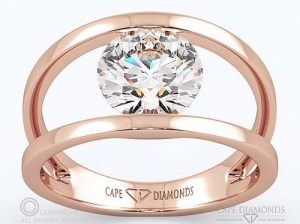 To find out more about custom made engagement rings in Cape Town, contact Cape Diamonds today.